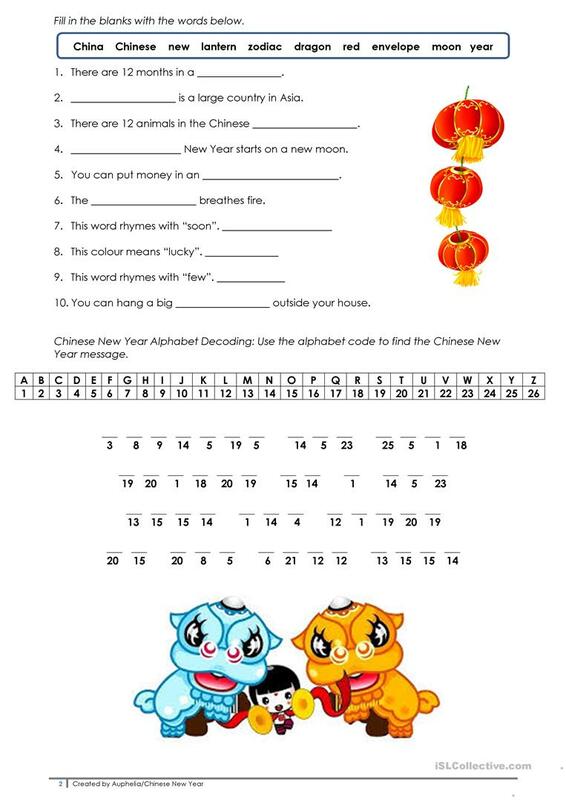 An easy worksheet about Chinese New year. 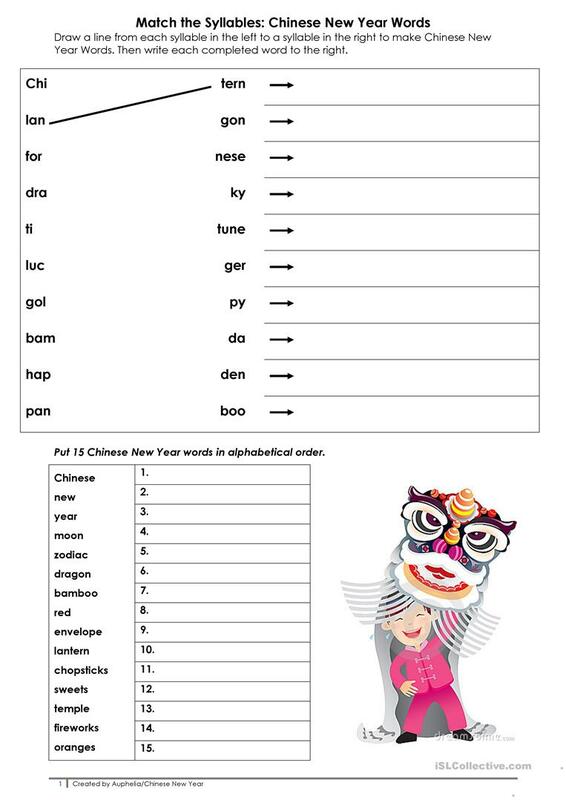 Students match the syllables then write the words in full, put words in alphabetical order, fill in the blanks and decode a secret message. Enjoy! The above printable, downloadable handout is intended for business/professional students, high school students, elementary school students and adults at Beginner (pre-A1), Elementary (A1) and Pre-intermediate (A2) level. It was designed for working on your groups' Spelling, Reading and Writing skills. It is about the topic and words of Holidays.